Despite the age of this brooch, the stones are still very bright and sparkling. 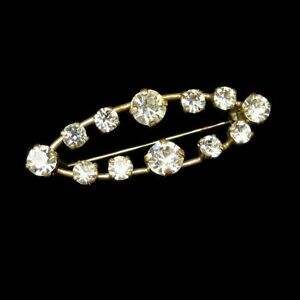 This lovely brooch will be admired whenever you wear it! Clasp Type: Locking pin clasp. Large Oval, Brilliant Clear Stones.